At Camp Earth Connection we recognize that the best way to tackle some of life’s hardest challenges is TOGETHER! And we also think spending time in nature can help too. 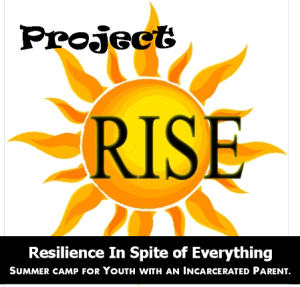 Project RISE offers support and programming to children and families who have family members who are or have been incarcerated. Camp Earth Connection will provide a limited number of scholarships to Project RISE youth so that they can attend Village Camp. Village Camp nurtures trusting relationships among youth with similar life experiences, provide guidance and mentorship across generations, providing a space for children and families to heal. 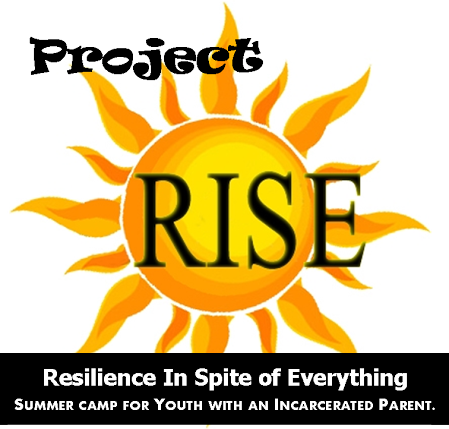 If your family has been affected by incarceration and you are interested in a scholarship please contact us at campearthconnection@gmail.com We are currently seeking donations to help provide scholarships for Project RISE and low-income families. Please contact us if you are able to help. Thanks! Donations to Project RISE can be made in two ways. 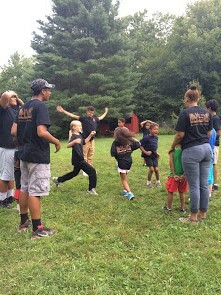 If you would like to make a donation to Camp Earth Connection you can pay through paypal below or make a check payable to “Earth Connection” and in the memo area of your check please write “Village Camp Fund: RISE.” Mail check to Earth Connection, 63 Hammond Hill Rd, Freeville, NY 13068. Although we also use 100% of these funds for scholarships, they are not tax-deductible. Please contact us at campearthconnection@gmail.com or call (607)844-3178 for more information. Thank you.